When you think about a reputable, full-service, mobile locksmith company, think Pop-A-Lock of Sarasota! We provide car, home, and business owners everything they need to have quality locks. We are open 24 hours for 5 out of 7 days a week to help! Pop-A-Lock is held in high regard as the premier locksmith franchise across the country, for good reason. We provide not only quality service but also consistent prices; the price we quote on the phone is the price we charge! In a time when locksmith scammers are unfortunately common in our society, you can trust the professional locksmiths from Pop-A-Lock to get the job done right! Whether you need a dependable locksmith for your home in Sarasota, your car in Lido Key, or your business in Siesta Key, give us a call! We will give you a free, no-obligation quote. We are here for you 24 hours a day, 5 days a week. We will give you a free, no-obligation quote. We are here for you 24 hours a day, 5 days a week. Why should you trust Pop-A-Lock Locksmith of Sarasota with your locks and keys? 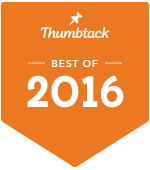 Voted #1 Locksmith by Thumbtack users and Top Rated by HomeAdvisor! Have you lost your car keys or need a spare? Our locksmiths are capable of creating identical keys for whatever it is you already have. Your standard auto keys, laser-cut keys, transponder keys, chip keys, remote head keys, keyless remotes, and key FOBS are all available on the spot after a quick call to Pop-A-Lock! Our locksmiths will arrive at your location in marked Pop-A-Lock vehicles and create a copy of whatever key you need. If you have a coded lock on the door, we can decode it and provide the appropriate transponder key. If for some reason our key doesn't work for you, we won’t charge you a dime. We understand that accidents happen all the time. At Pop-A-Lock, we have your back! We’re the best at opening locked cars when your keys are lost or locked inside. We unlock cars, trucks, trunks, and everything in between. We will arrive at your location at any time of the day or night and quickly open your car, damage free! We also provide locksmith services to both motorcycles and motorhomes, as well as ignition repair/replacement services. Locks are important for every home, which is why we make it a priority to provide professional services that keep homeowners safe. If you have just moved into a new home or are locked out of your current home, our locksmiths are ready to serve you! We offer the following services: lock picks, key cutting, re-key services, key duplication, lock repair, door installation, door lock repair, and more! Have you moved into a new office, or did you let go of a manager who had keys to the building? If so, call Pop-A-Lock! We can serve all of your commercial locksmith needs! We offer business lockout services, master key systems, lock picks, key cutting and rekeying services, lock repair, door lock installation, filing cabinet lock installation, door alarms, and more! Don’t trust anyone other than the best locksmiths in the country to pick your locks. If you find yourself locked out of your home, car, or business, call Pop-A-Lock! Beware of suspicious locksmiths who quote a different price on the phone than the one they charge or arrive in unmarked vehicles. The price will be expensive, and they could end up damaging the locks on your doors! If your door lock needs to be repaired, we’re just the team for you. Pop-A-Lock offers professional services to solve any problems you have with your home, business, or car locks. In addition, to lock repair, we also offer cabinet locks, drawer locks, and filing cabinet locks to ensure your belongings are safe within the walls of your home! Pop-A-Lock is your premier locksmith service company, ready to serve you anytime and anywhere! Contact us, or call us at 941-373-6688 for a no obligation quote!